Traveling all over the country and meeting dozens of community members who live near or are affected by rivers, I am constantly reminded of the growing Climate Justice movement’s catch phrase, “Water is Life”. This statement seems obvious enough but to me and for many of these activists and river-lovers, this pithy statement takes on a deeper meaning. Growing up, I wasn’t just on the river in the summers but hearing stories about whitewater in the winters. My life was, is and will be about one inescapable thing; H2O. Everything on the river is shaped by water. The canyons were carved because of it, the plants and animals are sustained by it and we humans surely need it to navigate the rapids safely. When I am thirsty on the river, drinking ice-cold water on a hot day seems not just refreshing but critical. 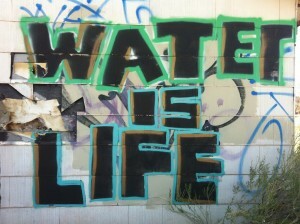 Without clean water I wouldn’t last more than a few days in the arid desert; “Water is life”. Off the river, I am a climate justice advocate. I care about the planet and the people living on it because my grandpa Dee Holladay cares, because my parents care, because Holiday River cares. 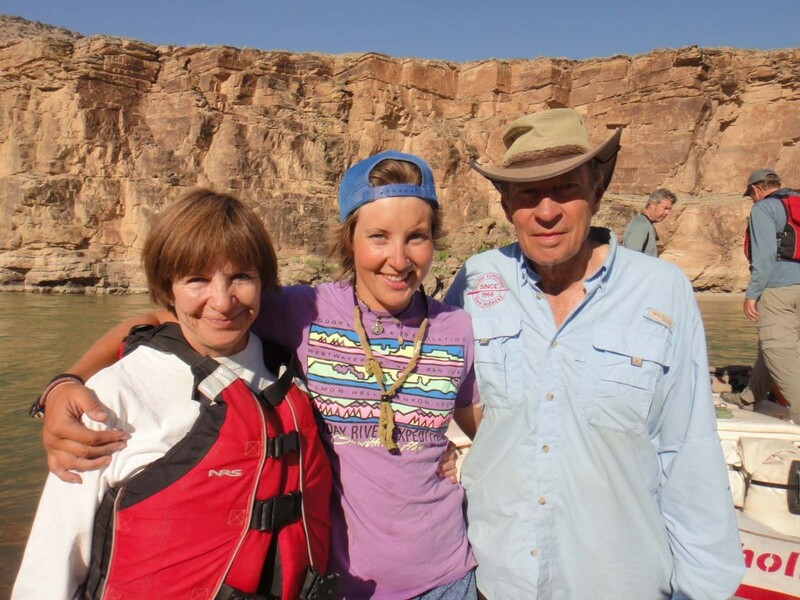 It is the foundation of Holiday’s mission statement, “to preserve our nation’s wild lands, [and provide] responsible stewardship of the land” and its this kind of land and water ethic that have made Holiday a pioneer in so many sustainable practices on and off the Colorado River. Holiday didn’t add this sentence simply because wilderness is inspiring, unique and peaceful but also because as river-people, we understand that what happens to the Colorado River and its tributaries not only affects our guests ability to enjoy these wild places but also the health of our cities, states and country. Everything flows downstream and whether it’s through dams we use for electricity, cattle we raise for food or oil we extract for transportation, we are quite literally all connected to how much water flows through the canyon, and the decisions we make about how that precious resource is used will have lasting impacts. So every winter when I cozy up with coco and look out at the Rocky Mountains to see how much snow has fallen, I’m not simply keying in for my hunch on how good the rapids will be next spring but also, just how real will that saying “water is life” feel for everyone downstream. I have dreams of raising kids and watching them take a seat behind the oars for their first time, teaching them how to row, like I have taught so many other children, and affording them the magic of a family rafting trip. I spend my off season fighting for the river because it can’t speak for itself but, I can tell you right now, it’s worth saving. Come take a trip and see what I mean. As my dad always says, “you’ve got to go to know”. 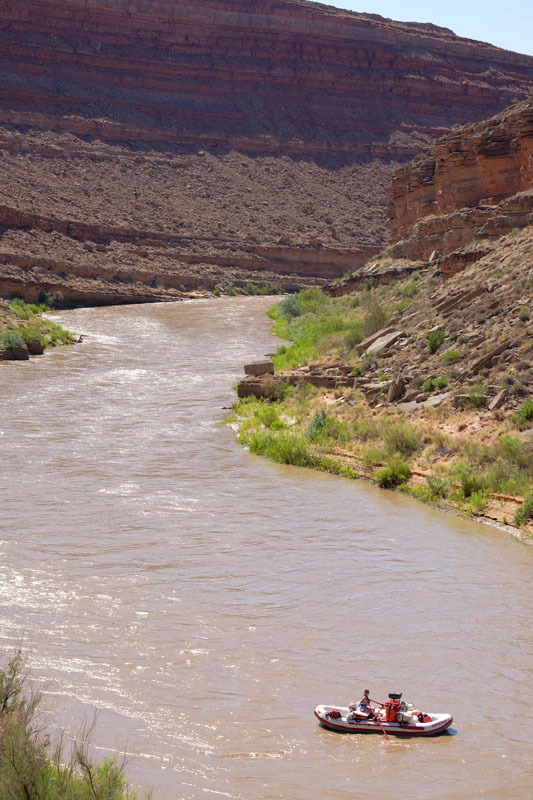 I have been a river runner my entire life and ever since my first river trip at age two muddy water has run a current through my veins and into my heart. 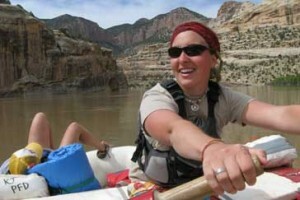 It was learning from the boatwomen and men of the 1990′s that led me to find my own oars. 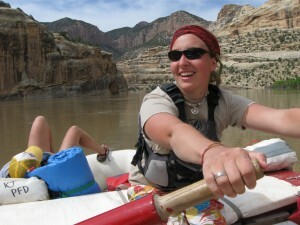 I have been a guide for Holiday River Expeditions since 2009. In the off-season I volunteer as an member of Peaceful Uprising and work on national climate justice campaigns with Rainforest Action Network. I find that the lessons from the river inform my climate justice work and truly all aspects of my life. I love investigating the way natural cycles could work with our cities and influencing the currents that direct and shape our communities.